“TMJ” is a frequent diagnosis for pain throughout the body, especially in the jaw, head, and neck. The “temporomandibular joint” (TMJ) refers to the joint connecting the jaw to the rest of the skull, so a diagnosis of “TMJ” is a misnomer. It would be more appropriate to label maladies affecting the joint as “temporomandibular disorders” (TMD). 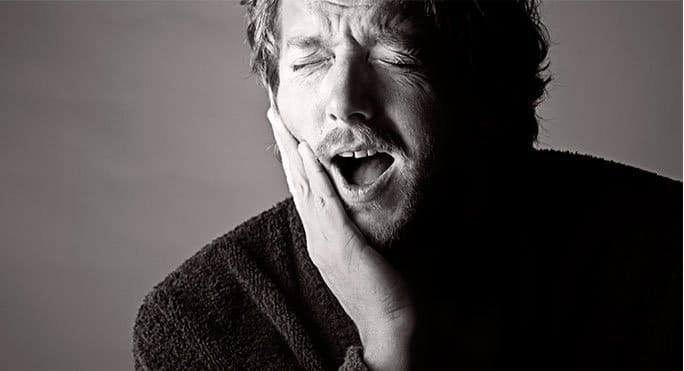 A host of other afflictions, some of which have nothing to do with the TMJ, are often misdiagnosed. The line between best practices and pseudo-science is regularly obscured, leading to unnecessary, expensive, and invasive treatments for sufferers. Legitimate TMJ disorder treatments do exist, but often the diagnosis is used to generate profit from unsuspecting patients. Dentists may use a myriad of expensive diagnostics in order to detect TMD. Such practitioners wield their authority, and patients may choose to defer to experts rather than gather their own information prior to accepting treatment. Surface electromyography, Doppler ultrasound, sonography, and other tests are not appropriate or evidence-based. In routine check-ups, dentists will often take TMJ x-rays, but this unnecessary unless the patient has presented symptoms of TMJ. The most common “treatment” for TMJ disorders involves mandibular orthopedic repositioning appliances (MORAs). MORAs are devices placed between the teeth with the aim of correcting a patient’s bite. These devices can enact change on a person’s mouth, but the results may be less than desirable. The use of MORAs can lead to mouths and jaws so improperly aligned that they require orthodontic intervention or even reconstructive surgery. MORAs are not a scientifically-backed therapy for resolving TMJ disorders. When such dramatic side effects result from this treatment, “TMJ experts” explain that it is because the corrective measure was worn for too long and in inappropriate circumstances. Items similar to MORAs are prescribed to patients who complain of their jaws clicking. Though the noise may be unpleasant, clicking or grinding sounds in the jaw without other symptoms do not indicate a disorder. Additional treatments are unnecessary when patients are otherwise asymptomatic. MORAs are not the only harmful treatments inflicted on patients. Invasive dental restorations are another common remedy. These restorations involve dramatically reshaping teeth through a process of building them up or grinding them away. An ultrasound treatment called Transcutaneous Electrical Nerve Stimulation (TENS) is another typical treatment. TENS involves stimulating nerves in painful areas with low voltage electricity. In spite of the ubiquity of this restoration and TENS, the results are negligible. Nearly as disturbing as unscientific treatments are the snake-oil salespeople commonly referred to as “TMJ experts”. These charlatans may work alongside attorneys to confirm TMJ injuries related to accidents. “Mandibular whiplash” is not a scientifically recognized diagnosis, but with collusion between unethical “TMJ experts” and attorneys, TMJ injury diagnosis can net thousands of dollars in settlements. TMJ injury cost is not only unfairly imposed on individuals in court, but it is also passed on to all of us, as insurance premiums continue to rise in response to the cost of damages. While there are many unethical practitioners and erroneous diagnoses, TMD is a legitimate disorder with scientifically supported treatments, and there are ethical dentists and physicians who can prescribe those treatments. Many remedies are simple and inexpensive. In fact, the late Dr. Joseph Marbach of Harvard University School of Dental Medicine was not in favor of treating TMD with surgery at all. Surgery should only be reserved for extreme cases of jaw deformation or injury because the effects of surgery can last for a lifetime. Surgery is a last resort. Without the use of surgery, there are many other treatments. Bite splints are an effective therapy. Bite splints can prevent patients from grinding their teeth, which reduces pain. “Night guards” function similarly to prevent to mechanical wear that can occur for patients who grind their teeth at night. Bite splints and “nightguards” are not the same as MORAs. Warm moist compresses to relax the muscles around the jaw are an effective method of reducing TMJ pain. Cold compresses and over-the-counter anti-inflammatories such as ibuprofen can also reduce inflammation in the jaw. Consuming a diet of soft food has been shown to decrease pain, and jaw exercises can be implemented much like physical therapy on other joints in the body. All of these treatments are non-invasive, and patients can procure them quickly, easily, and at low cost. Furthermore, these treatments have proven to be just as effective as riskier and more costly treatments. “Temporomandibular disorders” are legitimate afflictions that have been used as catch-alls for a number of unrelated pains. Diagnosis and treatment of TMJ disorders generate profits for unorthodox dental and medical practitioners at the expense of patient health and safety. The umbrella term for TMJ injury is likewise employed to increase court settlements. When it comes to treatment, patients should not be afraid to ask questions or get a second opinion before undergoing costly or invasive procedures.